Easily scaled up to feed crowds and rewarmed right before serving, these simple beans from Tara Brooke maintain a little crunch and easily accompany a variety of main courses. This gluten free vegetable side dish is sure to be a favorite. Place all the ingredients in a ziplock plastic bag or covered container and let marinate for 1 hour. Preheat the oven to 400°F. 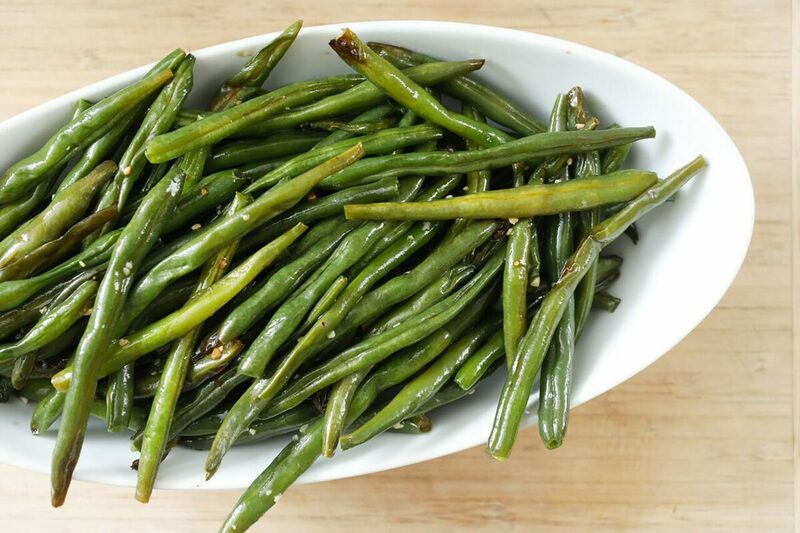 Spread the green beans in one layer on a large rimmed baking sheet. Roast for 12 minutes, stirring halfway through. Serve.